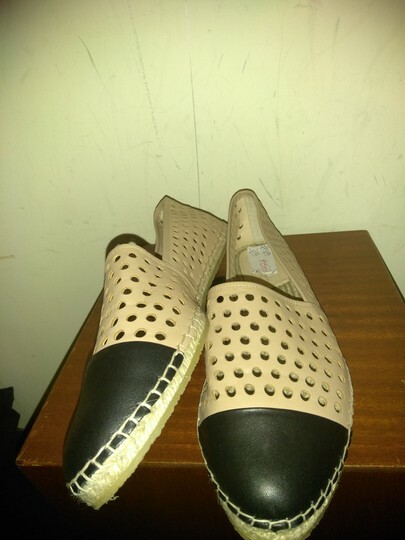 New with a partial sticker tag, no box or accessories, leather flats, initially priced at $350, perforated leather, espadrille sole, by Loeffler Randall, size 10.5. 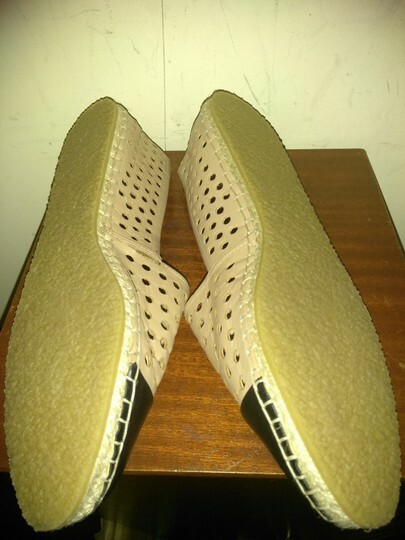 Even though the shoes are new, there is slight wear on the sole from being tried on in the store and there was a tear on the inside seam in the left shoe which I tried to get repaired, but there remains loose stitching on the seam. Please pay attention to picture #3.